Basics of buying a property in Cyprus and obtaining residency! Cyprus with its attractive geographic location, political stability, robust legal system, beneficial tax regime, cosmopolitan character and excellent climate is becoming an ideal location for a business oriented person and his/her family to obtain hassle free entry and residency permit. 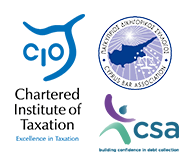 This report gives you an overview, on how a third country national may become resident in Cyprus and enjoy the benefits the island has to offer. An increasingly favorable route of obtaining a Permanent Residency Permit (PRP) in Cyprus, is through an application for a Category F permit to the Civil Registry and Migration Department of the Republic of Cyprus. The main requirement for granting this PRP, is that the applicant demonstrates that he/she has a secure, reliable and regular annual income, which is high enough to provide a decent living in Cyprus for himself and family without having to engage in any business trade or profession. i.e. such income is not generated within Cyprus. Such income must be from legal sources and to be received from abroad. If the applicant has purchased a property with a value above 300 000 Euro, his application would be looked at favorably when examined by the authorities. It should be noted though, that the above restriction, that regular income should be received from abroad, applies only to active income (eg. Salary) and not to passive income (dividends, interest, rents etc.) So an applicant may for example be receiving dividends from Cyprus companies or rental income from properties situated in Cyprus and will not be in breach of the requirement for obtaining the residence permit. Furthermore, and after newly introduced legislation, passive income, such as dividends, interest and rents, is now fully exempt for any residents who are deemed not to be “domiciled” in Cyprus. The term “domicile” effectively includes anyone being: a) born in Cyprus or b) who has demonstrated an intention to permanently reside in Cyprus. However for those who intend to permanently reside and be tax residents in Cyprus a grace period of 17 years is granted, within which they would not be subject to any taxation on the aforementioned passive income. The processing of the application usually takes between 6-12 months, however an expedite procedure (fast track) can be undertaken which can usually be completed within 2 months. In order to qualify for the expedite procedure, certain additional requirements to those previously mentioned must be met, with the major one being the mandatory purchase of a minimum 300 000 Euro value in property, which should be bought as new from a developer and therefore bare the necessary VAT charge. Additionally a deposit of 30 000 Euro must be transferred to Cyprus from abroad and kept in an account with a Cypriot bank. An important to note feature, which provides flexibility to a holder of a PRP in Cyprus, is that the PRP holder must visit Cyprus only at least once every two years in order to maintain the permit. The permanent residence permit offered by Cyprus is continuously proving to be an excellent exit strategy for businessmen residing in countries with political instability, as well as those looking for a great place to reside and at the same time enjoy the tax benefits the island has to offer. For a complete list of all the requirements for obtaining the PRP please complete your details below and you will automatically receive an email with the list. Looking for buying property in Cyprus ?